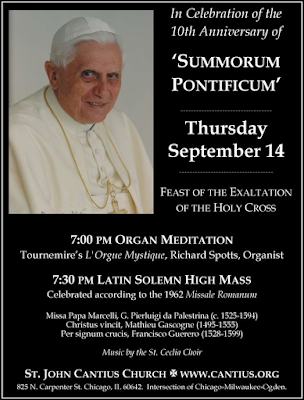 The church of St John Cantius in Chicago will have a Solemn Mass in the Extraordinary Form on Thursday, September 14th, for the Exaltation of the Cross, starting at 7:30 pm. The Mass will feature Palsestrina’s famous Missa Papae Marcelli, and motets by Gascogne and Guerero; Tournemire’s L’Orgue mystique will be played beforehand, starting at 7. The church is located at 825 North Carpenter Street. On September 30th, the Canons will be offering a liturgical conference for the laity at the church of the Sacred Heart in Springfield, Illinois, which will include a solemn Pontifical Mass celebrated by H.E. 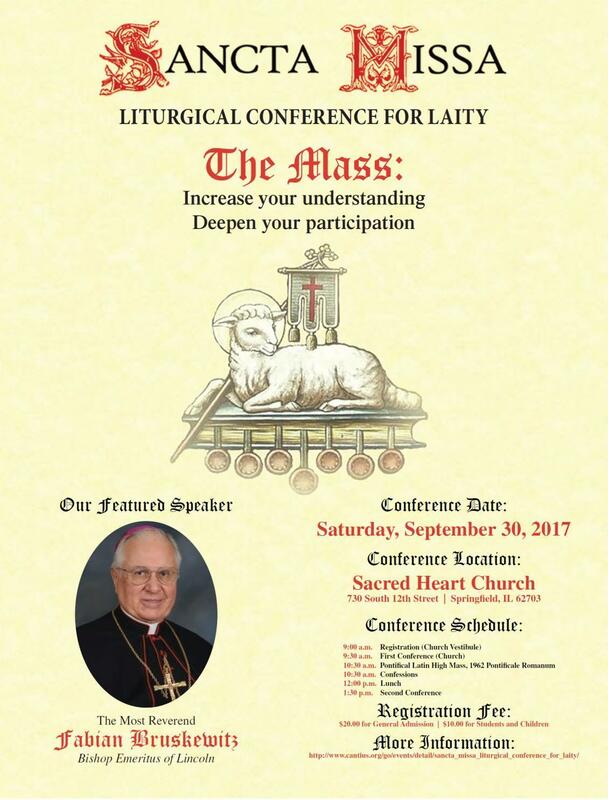 Fabian Bruskewitz, Bishop Emeritus of Lincoln, Nebraska. For more information and to download the registration form, click here.